It's that time again! 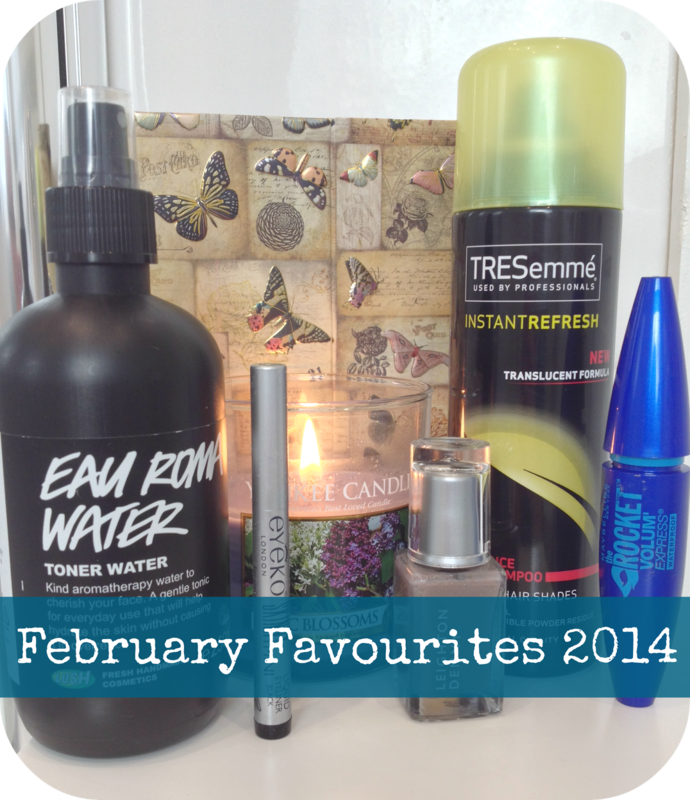 February favourites! I've thrown in a few none beauty related favourites this month and some of my most loved subscription goodies too! Let's get on with it already! Mr.Man bought me a gorgeous Yankee Candle gift set at Christmas with two tumbler candles inside. This was one of them! It is the perfect 'Spring-is-around-the-corner' candle! 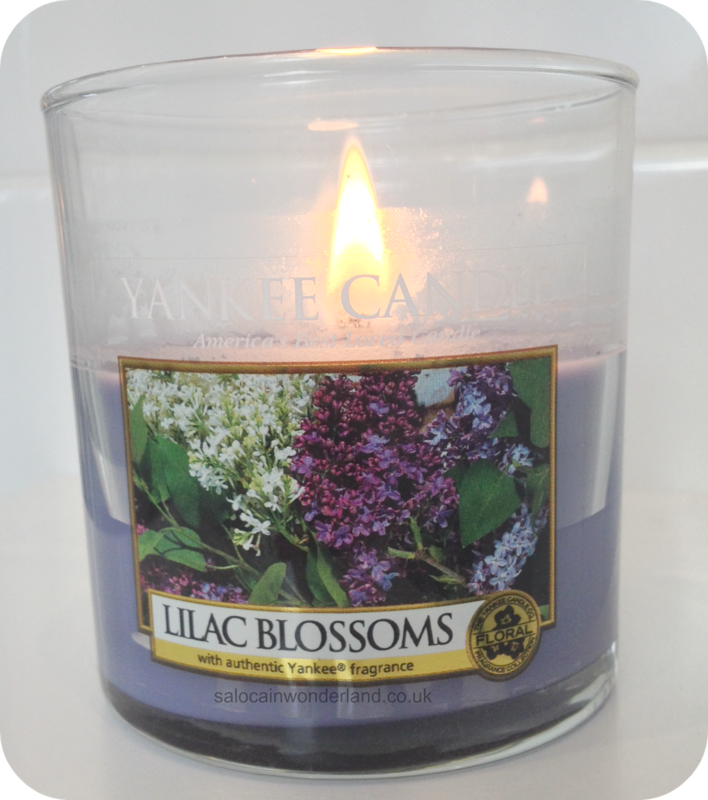 It smells of fresh lilac flowers and just makes me want to be outside in the park - if only it would warm up a little faster out there! It's put me in the mood for Spring! Yankee Candles are my favourite, I find their scents so strong and they fill the whole room. Yes, they can be a little pricey but they're a lovely treat - and the glass tumblers are reusable if you clean them out. I'm planning on putting some mini votive candles in them next! I have a bit of an obsession with notebooks and journals. I've been keeping a paper based journal for close to 10 years now and I love it when the time comes around to run out and buy a shiny new one! 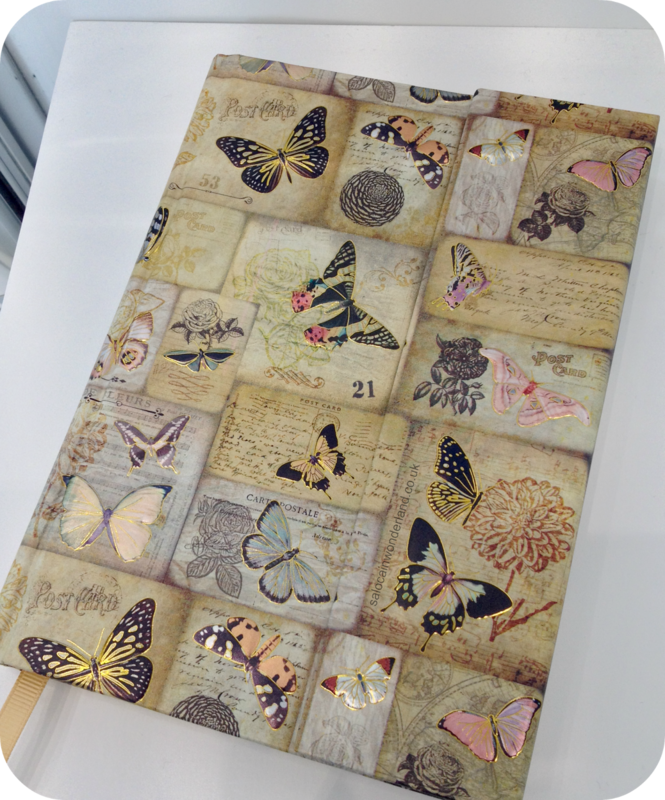 I can spend hours just browsing for notebooks and stationary and never tire of it! I have a special place in my nerdy notebook heart for Paper Blanks notebooks but they're really expensive. I never tend to buy them for myself but do occasionally have them gifted to me by the lovely people in my life. I have to say, as an alternative to Paper Blanks, Paperchases own brand notebooks are just as stunning. Hard back, magnetic covers, thick quality paper and an envelope in the back for trinkets and treasures - they're pretty much identical to Paper Blanks but an absolute steal! This one only cost £6.50! So pretty! Full sized bottle sent in my February Birch Box - I've been loving this shade so much! 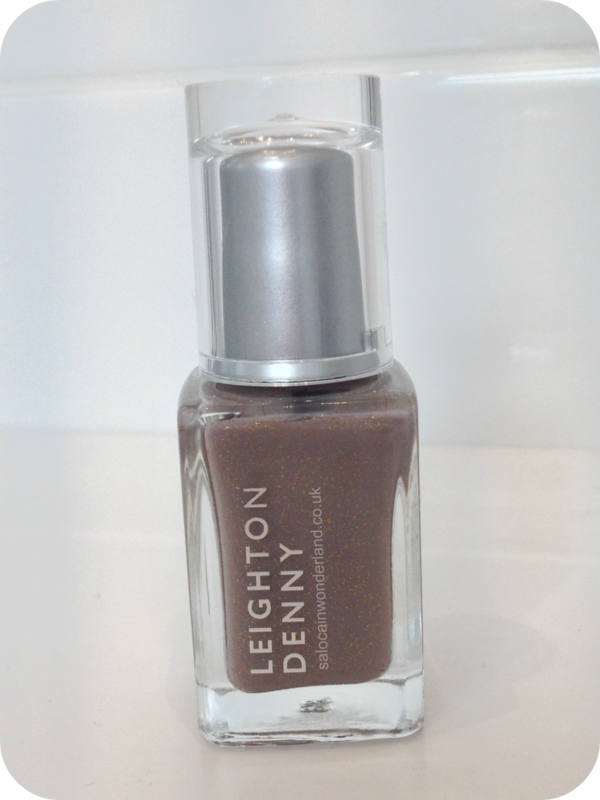 It's been a while since I used a Leighton Denny polish and I had forgotten how awesome they are! This shade is a really nice taupe with chunks of gold mixed in. It's such a pretty shade and I got lots of compliments when wearing it. Perfect for that 'still-Winter-almost-Spring' neutrals transition! I've been on a mission this month to perfect that Alexa Chung cat eye, a nice gradually building line then a cute, well pointed flick at the end. I'll be honest, eyeliner has never been my strong point (and believe me, I've tried) but I was determined this month to give it a really good go - and the Eyeko liquid liner has made it almost effortless! This full sized mini was sent in my February Birch Box! So easy to control, the nib is solid and gives a very strong, bold black line. It makes it so easy to go along the lash line in quick, small strokes and then build up for the desired look. I'm already eyeing up another one of these for travel and the rose gold version! Picked this up during the Boots 3 for 2 event and have been wearing it ever since. I'm a BIG fan of Maybelline mascaras and this one was as good as promised. I'd seen it around YouTube in a few other favouirtes round-ups. The brush this is thick with tiny, well spaced bristles. It really opens up my eyes, lengthens the lashes and is a deep deep black colour, not that slightly greying colour you get with some mascaras. Very daytime friendly, for big bright beautiful eyes! Picked this up on a whim in Boots at the end of January, it was on offer and I'm so fed up of Batiste now I knew it was time for a change. I've always loved Tresemme products and this one was promising a translucent formula'. I have really dark brown hair so the white snowfall look of Batiste has always been a bug bear of mine - I always seem to miss a spot and spend half the morning walking around with less than cool looking Storm stripes through my hair! Tresemme Instant Refresh is awesome. It smells great and leaves hair looking super fresh. It does give you hair a sort of, 'hair sprayed' feeling to it, but it doesn't look that way. It gives great texture, perfect for styling day old hair! 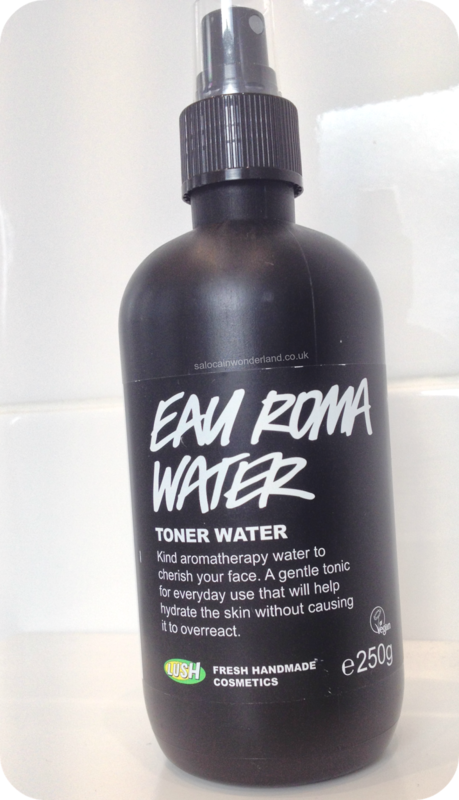 Picked this up in Lush a few weeks ago and have been loving it ever since. You can see my review on it here! My skin feels well moisturised and it has helped reduce redness caused by breakouts! I stopped using toners for a long time but have slowly been introducing them back into my routine and my skin is thanking me for it! Most viewed post this month was my Liebster Award post!